DAYTONA BEACH, Florida -- An alleged attempted robbery of a taxi driver early Sunday morning didn’t end well for the suspect when he fled the car empty handed. But even worse was that after failing to get the driver’s wallet, 42-year-old Terry Smith dropped his own wallet in the intended victim’s car. This led Volusia County Sheriff’s deputies right to Smith’s home that evening where another bit of bad luck delivered him into deputies’ hands. Smith wasn’t home, but at the very moment deputies were at his house, Smith happened to drive by and was spotted. Officials say Smith was also driving with a suspended driver license. Volusia Sheriff's Deputies say it all started at 4 a.m. Sunday when Smith got into a taxi at a convenience store on South Ridgewood Avenue in Daytona Beach, Florida. He asked to be taken to the 1400 block of Pioneer Trail. While en route, Smith complained to the 49-year-old driver that he was feeling carsick in the back seat and he asked if he could sit in the front instead. The driver stopped to allow Smith to make the switch. Smith then asked the driver if he has been busy and making a lot of money. Once they reached their destination, Smith opened the door as if to get out, but then he allegedly reached over and tried to grab the driver’s wallet and cell phone from his front pockets. 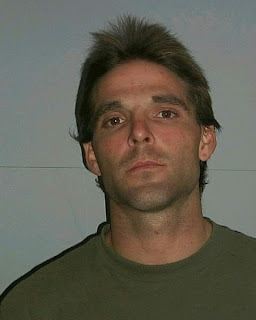 The victim managed to hold on to his possessions, prompting Smith to allegedly smack the driver across the face twice. Deputies say Smith finally fled without paying his $40 fare. Initially, the driver had decided not to report the incident to the Sheriff’s Office because he didn’t know who his assailant was. But later in his shift, the taxi driver discovered that Smith had dropped his wallet on the passenger side floorboard. He turned it over to deputies who used the identification inside to locate Smith’s home. Deputies went to 5104 Isabelle, Port Orange, but Smith wasn’t there. However, a moment later Smith drove by right in front of the residence. Deputies conducted a traffic stop and arrested Smith. He was charged with attempted robbery, battery, petty theft and driving with a suspended license. Smith was booked into the Volusia County Branch Jail in Daytona Beach.